The National Cambodian Heritage Museum is a tribute to the rich heritage that dates back more than 4,000 years, and provides a permanent and secure home in Chicago for the culture that was almost lost during the Vietnam War and Cambodia’s own civil unrest. Through permanent and temporary exhibits of vivid images, descriptive accounts, unique artifacts, and interactive media displays, the museum celebrates the remarkable Cambodian achievements and traditions kept alive through centuries of hardships. 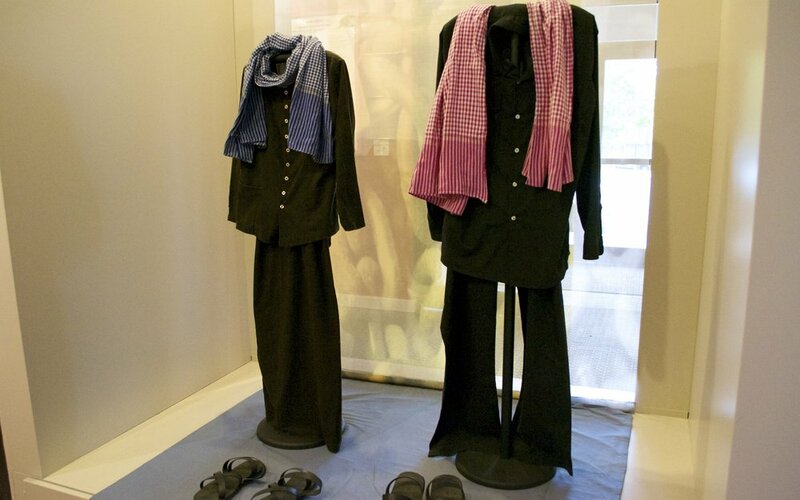 The memorial museum educates visitors about Cambodian ancient and modern history, the refugee experience, and the Cambodian American community today. Sign up for event updates and our newsletter. You can also read our previous editions online. Check out the current and previous exhibitions for the Cambodian and Chicago community. Find tips and information to make your next visit to the museum a memorable one. People of all ages can learn traditional Cambodian dance and music from master artists, as well as Khmer language classes taught by native Khmer speakers. Your donation makes a significant impact on the lives of the Cambodian community via programs for the aging refugee population, cultural classes to preserve our heritage, and academic services for our youth.